After sales! what exactly does that mean? * It means that its not all about selling houses for our family business! * It means we care about you! * It means we really do go that extra mile for our clients! We know that purchasing any property or plot of land in Spain may seem to be a daunting task but here at Spanish Property Choice we offer you a dedicated, professional team, that will guide you every step of the way. * to completion and beyond. * We really are the one stop property shop. You have now found your dream home in Costa Almeria from our fully registered company Spanish Property Real Estate S.L. A 3,000€ initial deposit will be required to put the property on hold from marketing allowing for the solicitors to complete their searches. 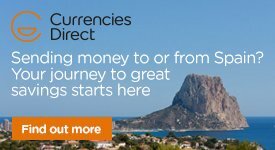 We recommend using a money transfer company such as Currencies Direct to do this (Please see link on our home page, just click the link for further information on how to register) As our clients you will be able to achieve a good commercial rate rather than a tourist rate on your transfer and the Currencies Direct team will not pester you. We have used them for 11 years now and can recommend them 100%. We are an S.L. company and would initially hold the deposit in a clients account until such time as instructed by both solicitors to send it to the vendors or the solicitors on the final completion. We have to provide a factura and proof of where the deposit has been held to the solicitor and the notary. So your money is in safe hands with Spanish Property Choice and also protected by Arras. We always insist you must pick your own solicitor! However we are always here to help and advise, so we will give you 2 or 3 recommendations of pro active solicitors in different locations, we will make the appointments for you and introduce you to the said solicitors should you wish. However we would then leave you to discuss your purchase and ask all the questions you need to in private. Please remember a little tip from us - Here in Spain if you don´t ask! they don´t have to tell you! So make a list of questions, concerns or thoughts and ask your chosen solicitor to clarify for you. It is important for you to know that no matter how much paperwork we as agents request, the laws, rules, regulations change on a regular basis, so it´s not unusual for solicitors to want more on some properties, dependent on their registration. This is the solicitors job, so as long as you are aware and take it in good faith if they do, they are only doing it to protect you. Sometimes this may delay a sale for a short period of time but the solicitor will guide you and we as agents would always work alongside the solicitor to move things along for you and for the vendor. Most issues tend to be Catastral or Land Registry related, they are supposed to talk to each other but that´s far from the facts, so in some cases they have to be updated. All this as we say is dependent on what it is, how its been registered and the individual solicitors stance on such issues. We would rather it be 100% of course, so its best to listen to your solicitor! So when your solicitor has checked everything, you will then be required to pay the balance of a 10% deposit (including the 3,000€ you have already put down) within 28 days. This will tie the owner into the sale also and should they pull out for any reason you would get your 10% back plus a further 10% (double your money back) So we do not really get gazumping here in Spain which is a good thing of course. (It is illegal to have 2 deposits held on a property in Spain, so once your deposit is down, other agents are requested to remove the property from the market and the owners should let all their agents know). 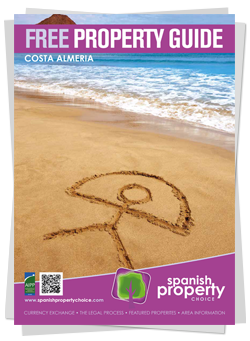 Please note: Spanish Property Choice do not charge you the purchaser any fees! Some agent do however. So if you choose to pay the agent a finders fee and the sale does fall through then this money will very rarely be given back to you by these agents, as they deem that at that stage they have completed their part of the transaction. We advise any client not to pay this, all commissions etc should be paid to the agent by the vendor, in a private sales contract agreement. Once the contracts have been signed by both parties our team will continue to liaise on your behalf with all matters in the respect of mortgages, money transfers, insurance, furniture packages, removals, solicitors etc and our team will be on hand to deal with any of your questions no matter how small to give you the purchaser total peace of mind. The final stage of the purchase is on completion day when a member of our staff should you wish accompany you to the notary office where the balance of the purchase monies are paid and the official title deeds are signed over into your name. NO it does not stop there! Once you have purchased your dream home from us, we will be there for you to help and advise on anything. Our doors are always open, sometimes we joke about putting "information centre"
Who or what is a Spanish Notary? A Spanish notary is one of the key figures in Spanish society, up there with other notables such as doctors and priests. They work on behalf of private individuals and companies and are essentially public officials who play a neutral role in drafting and witnessing all different types of contracts here in Spain.They are there to ensure that both parties come to an agreement to understand the terms and conditions of the contract they are about to sign, that the terms of the contract do not contravene any Spanish laws, and to ensure that the appropriate taxes generated by the transaction are paid, for example a non resident or non fiscal resident would have 3% retention of the value of the sale stopped by the Notary. Fiscal residents do not have to pay this.